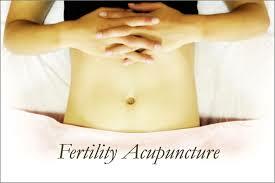 Acupuncture is known to increase fertility rates significantly. About 10 percent of couples struggle with infertility and an inability to conceive, according to the Center for Disease Control. For those struggling to have children, fertility treatment can become tiring and expensive very quickly. There are numerous alternative treatments including Traditional Chinese Medicine (TCM) that have been thought to improve fertility. By increasing blood flow and Qi (pronounced “chee”) to the reproductive organs, acupuncture can help increase fertility. Stress has been noted to cause infertility in women due to an increase in the hormone cortisol. A change in hormones can cause the body to be put out of balance, affecting fertility. Acupuncture can help by decreasing stress with acupuncture points and returning the body to balance. Acupuncture infertility treatment has almost no side effects, compared to Western medications and hormone treatments that can cause lasting side effects. Women who received Chinese herbal treatments once a week for about three months were found to be twice as likely to become pregnant as women who didn’t receive the treatment, according to a study in the journal Complementary Therapies in Medicine. Chinese herbal therapy uses more than 150 herbs found in groups of about 15 herbs in each treatment. The treatments are made of formulas that include natural ingredients such as bark, root, leaf, flower and plant extracts. These treatments are most commonly given in pill or tea form. Clinical studies in China have shown that 70 percent of those struggling with fertility who were treated with Chinese herbs have become pregnant. Ask an acupuncturist for information on how you can receive Chinese herbal treatment. Yoga is another way to increase fertility by reducing stress and increasing blood flow, which can help gynecological function. Breathing practices that are done in yoga can help to relax the mind and lower cortisol levels, bringing hormones back to a normal balance. Some poses can increase circulation to the reproductive organs including Seated Angle Pose. This pose consists of sitting with your legs stretched out to stretch the hamstrings, bringing more blood flow to the pelvic area. If you have experience or supervision, yoga inversions such as headstands or shoulder stands can be extremely helpful fertility boosters as they balance the hormones. Simple lifestyle changes can also help boost your fertility including eating a healthy diet, avoiding alcohol, smoking and environmental toxins, and getting sufficient sleep. Alternative treatments for fertility can be a less expensive, non-invasive option for improving fertility! Call us today for more information on our program to increase your fertility: 405.905.5248. This article was posted in Uncategorized and tagged accupuncture, acupuncture, acupuncture edmond, acupuncture okc, chronic headaches, chronic migraines, fertility edmond, Infertility, infertility help, stress. Bookmark the permalink. Follow comments with the RSS feed for this post. Both comments and trackbacks are closed.